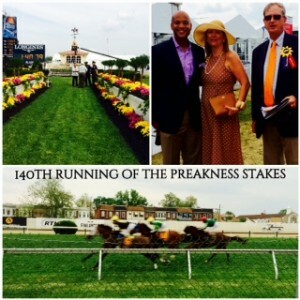 Both local and national viewers caught a glimpse of what may turn out to be history this past weekend when American Pharoah won the 140th running of the Preakness Stakes at Pimlico in Baltimore. Why might this be considered to be history, though? American Pharoah won the 140th Preakness in Baltimore last weekend. What makes the Triple Crown so special? For the novice, the Triple Crown is comprised of three races: The Kentucky Derby, The Preakness Stakes, and The Belmont Stakes, respectively run annually May to June. Although the Kentucky Derby is deemed, “the fastest two minutes in sports,” the Preakness Stakes at Pimlico Race Course is actually the shortest leg by virtue of distance, at one mile and an eighth. Churchill Down’s Kentucky Derby is set at a mile and a quarter, with the Belmont Stakes at one mile and a half. Only 11 horses have won the “Triple Crown” in over a century. The phrase, “Triple Crown,” was coined by sportswriter Charles Hatton and used for the first time in 1930 after Gallant Fox won all three races. The first horse to actually win all three races was Sir Barton in 1919 and the last was Affirmed in 1978. Thirty seven years have passed since the last Triple Crown was earned. Could we see an end to this stretch at the Belmont Stakes, the third and final race in the series coming up on June 6th? For those of you who have not attended a race before, there is more to know. Horse racing can be highly entertaining! The atmosphere is exciting and anticipation-filled (provided you do not bet what you cannot afford to lose). Additionally, the weekend of the Preakness features other attractions such as the Black Eyed Susan day and the Infield fest, complete with music, food, and the famous Black Eyed Susans (drinks)! There are many methods to selecting your winning horse, but the basics to placing bets are fairly simple. Win: Horse must come in first. Place: Horse must come in first or second. Show: Horse must come in first, second or third. Across the Board: Horse may come in first, second or third. Exacta: Top two finishers of the race in exact order. Trifecta: Top three finishers of the race in exact order. Furlong: Races are measured in furlongs, each measuring 1/8 of a mile. Post Time: The time when the first race of the day begins. Purse: Prize money for the owners of the first five or six finishers of a race. Also-Eligible: A horse entered in the race but who cannot start unless another horse is scratched. Closer: A horse that runs best in the latter part of the race, coming from off the pace. Entry: Two or more horses owned by the same stable or (in some cases) trained by the same trainer and running as a single betting unit. Flatten Out: When a horse drops his head almost on straight line with body. Graduate: Winning for the first time. Hung: A horse holding the same position, unable to make up distance on the winner. Morning Line: Approximate odds quoted before wagering begins. Scratch: To be taken out of a race. Stretch Runner: Horse who finishes fast in the stretch. Track Record: Fastest time for a distance at a particular track. For more information on this year’s Preakness, take a peek at their website at www.preakness.com. This entry was posted on Wednesday, May 20th, 2015 at 7:52 pm. Both comments and pings are currently closed.